Are you planning to go solar? Well if so, then consider installing one for your homes which can be a great idea or thought. Turning the roof of your house into a mini power plant can give you a nightmare, as most homeowners are unaware of the solar array. The fact that lies behind installing ground mounted solar panels are cost-effective and user-friendly. With the rising number of installation, the cost of solar keeps falling. So before taking the jump of installing solar energy for your house, there are few things that you need to know about ground mounted solar panels. There are two types of ground-mounted solar panel system – standard ground mounts and pole mounts. Both these ground mounts are different from each other. Moreover, in a year, few standard ground mounted solar panel systems can be manually adjusted a few times to account for seasonal shifts of the sun. On the other hand, the pole mounts often incorporate tracking systems, which automatically tilt the solar panels to capture the optimal amount of sunshine. Moreover, by 25% or more production of your solar panels can be augmented through a tracking system. So if you are planning to add a tracking system to your ground-mounted solar array, you can either choose between a dual-axis or single-axis system. 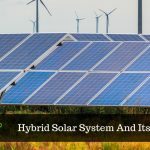 These single-axis and dual-axis tracking systems move your solar panels over the course of the day to follow the sun as it moves through the sky and can adjust based on seasonal variations in the sun’s position, respectively. There are various reasons to consider a ground-mounted solar panel system, as rooftop solar arrays are the most common choice for homeowners. By and large, the cost of both ground mount solar panels and rooftop solar on a per-watt basis is almost same. So, you need not worry system if your property is not ideal for rooftop solar, as you can save money in the long term by installing the ground-mounted system. 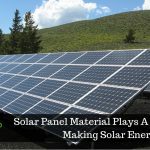 The best part of ground-mounted solar panels is that it can get located anywhere, whereas, the rooftop solar arrays get restricted by the characteristics of the roof on which they get installed. It mostly depends on the location, position of the roof and usage of electricity at home. Similarly, without the space restrictions of a rooftop system, ground-mounted solar systems can be sized to match your electricity consumption. 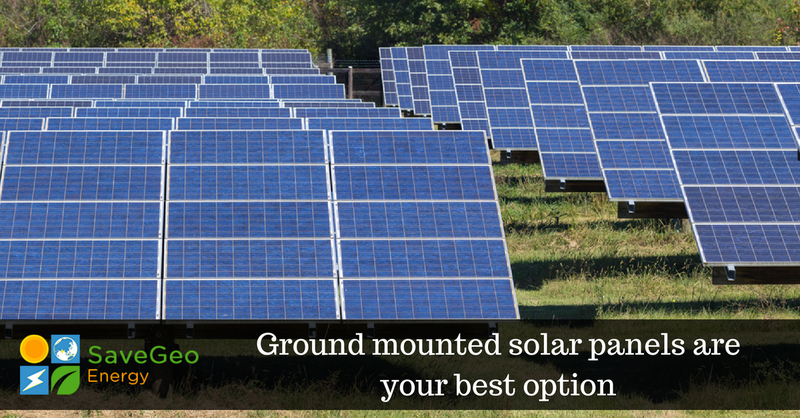 There are many benefits to opting for a ground-mounted solar panel system. One of the benefits is user-friendly as it is effortless to access for maintenance and cleaning. It can be located on open land and does not require drilling into your roof. Moreover, bracings used in standard ground-mount systems are lightweight and easy to remove, but if you go for a pole mount, they will usually install it more securely. In comparison to a rooftop solar array, a ground-mounted solar panel system can be more productive per panel as they are not dependent on the roof and to optimize energy production it is set at the perfect angle. 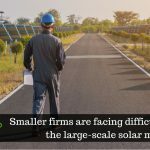 As a result, generating of electricity will be more than a comparably-sized rooftop system, which in turn will save more money in the long run. SaveGeo is one such company that provides ground-mounted solar solutions designed and engineered based on the client’s site-specific conditions. With diligent project planning and accurate execution, our solutions are tailored based on the uniqueness of your requirement. We provide a wide range of ground-mounted solar solutions offering freedom and flexibility to support PV modules of various types.